Mayor Khan gets priorities wrong again! £6 million pounds of cash from the taxpayer will now be spent on providing TOILETS for the use of bus drivers only in a move that has again sparked outrage about his priorities. The toilets will have unique pass-codes that only drivers will know about meaning they cannot be used by the public. Mayor Khan's Father interestingly enough was a bus driver and Khan likes to boast of his humble origins. The Mayoral office issued the following statement: "The Mayor of London, Sadiq Khan, has today announced plans for a further improvement of working conditions for London’s bus drivers by ensuring that all have access to a toilet on their routes for all hours of their working day. The Mayor plans to allocate £6m of funding to deliver permanent toilets for the capital’s bus drivers along 40 routes which currently only have limited access or opening hours. A lack of toilet access can be a significant health issue for drivers who can spend hours behind the wheel. Since his election Sadiq has been working hard alongside unions and bus operators to resolve the lack of facilities left behind by the previous Mayor. 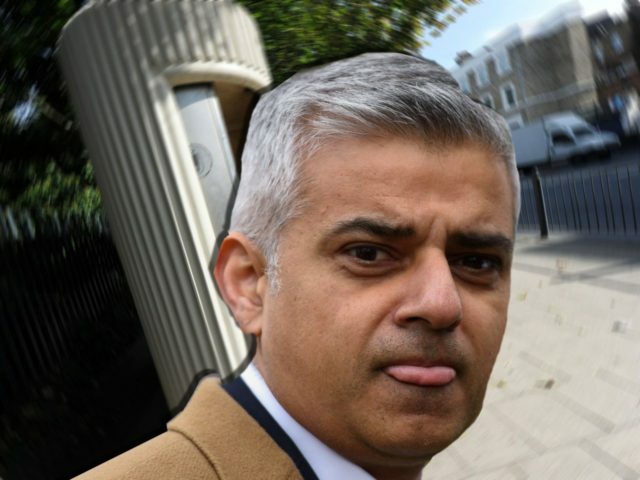 Sadiq has already ensured that temporary toilets – such as an arrangement with a local café or shop for drivers to use their facilities – were installed on all routes that didn’t have one. This new funding will allow for the installation of permanent toilets at the end of each of these 40 routes – removing the worry and potential distraction for drivers of not knowing where they will be able to stop. The move is the latest in a series of improvements for bus drivers delivered by the Mayor. Earlier this year Sadiq introduced the Licence for London, a deal to help drivers fairly move between bus companies, and in December 2016 he secured a new £23,000 minimum wage." Whilst no one is questioning bus drivers should be treated fairly and payed a decent wage it is concerning that Mayor Khan is insistent that Police funding is not an issue he has any control over. Do you agree we need out the EU now? !